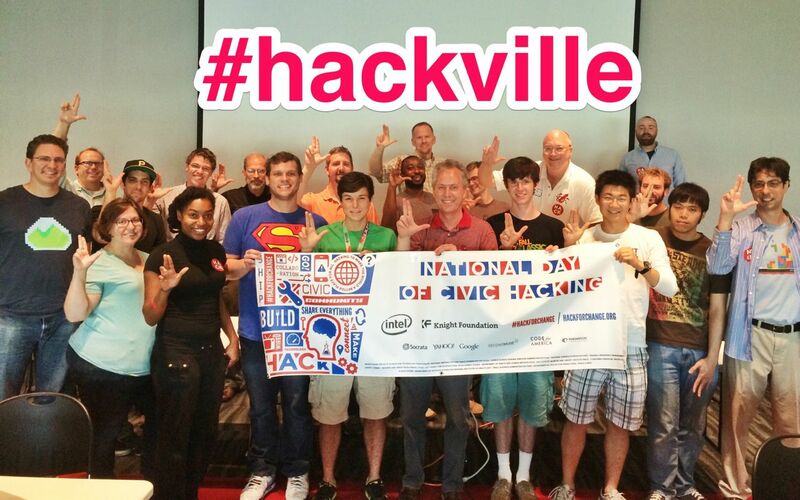 Hack for Change Louisville was held as the city’s official Code for AmericaNational Day of Civic Hacking event, one of over 100 simultaneous events across the United States. The day brought together local government leaders and staff, local organizations, non-profits, businesses, visitors, and community members and was focused on civic innovation. 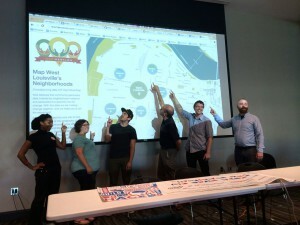 Full recap at Civic Data Alliance. Over 35 people participated in this year’s event. 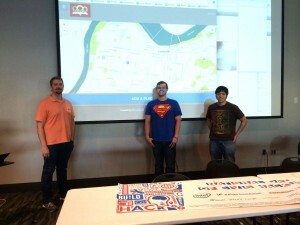 Louisville’s Code for America brigade, the Civic Data Alliance, volunteered to organize this year’s event and partnered with Code Louisville for event hosting and promotions. We self-organized around 8 different projects, after narrowing the field from 16 potential ones. Needed better amenity location data from Metro Parks. Thank you to everyone who volunteered to make this happen, to everyone who came and hacked away the day, and to our event sponsors! Cross posted from the YourMapper blog. 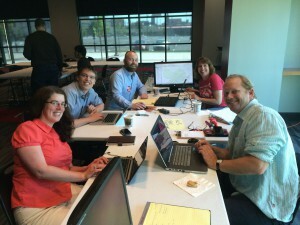 Louisville's National Day of Civic Hacking event wrapped up this past Saturday May 31. How did it go? The event was a huge success! 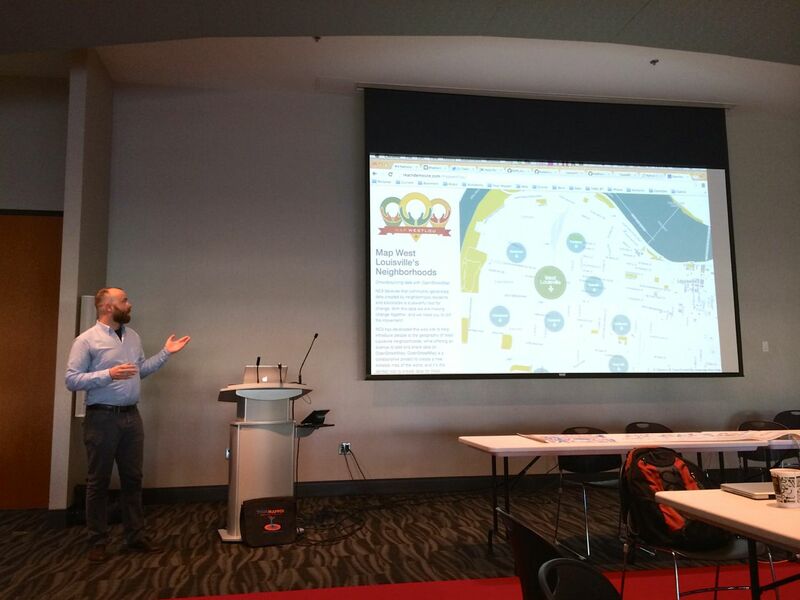 The organizers, Louisville's Civic Data Alliance, would like to thank everyone who participated including Greg Fischer (Louisville Metro’s Mayor), Ted Smith (City Innovation Director), and Tim Welsh (Metro CIO). We had 45+ people sign up and attend. We were part of over 100 cities, 124 events, and 10,000 participants across the nation. 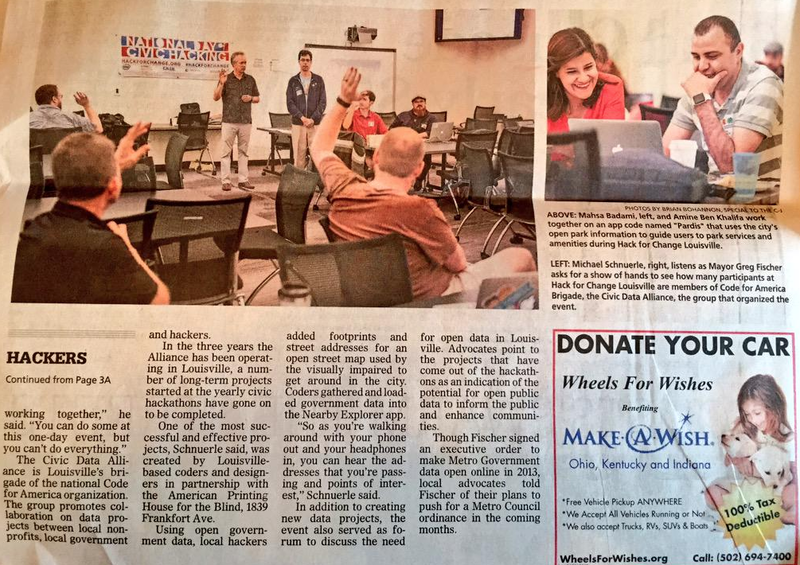 The Civic Data Alliance is Louisville’s official Code for America brigade, and the organizing body for this year’s NDoCH. If you want to join us, discover projects we are working on, and join our monthly meetups, please visit our site and sign up on our forums. We focused on 5 projects to build and ship in just 6 hours, based on data available and interest levels. Here's a summary of each of them. 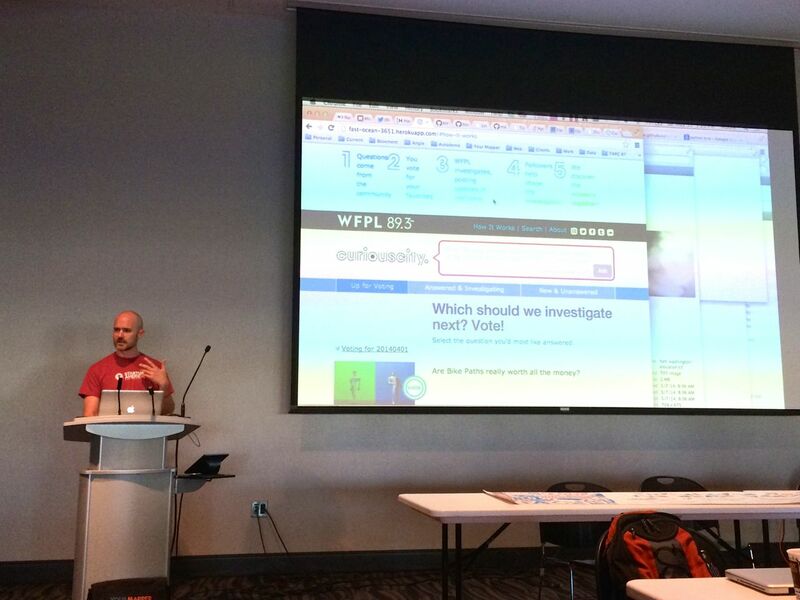 We deployed the first version of WBEZ's Curious City Project, for WFPL in Louisville. 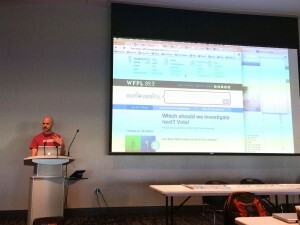 "What do you wonder about Louisville, the region or its people that you want WFPL to investigate?" The Network Center for Community Change needed a way for locals to improve the accuracy of locations and mapping in the neighborhoods their volunteers and community members know. 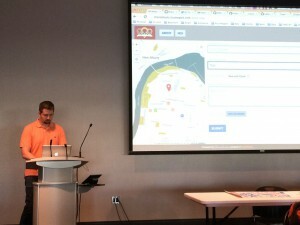 So we built a neighborhood explorer with links to editing features easily in Open Street Map. "NC3 believes that community-generated data created by neighborhood residents and advocates is a powerful tool for change. With this data we are making change together, and we need you to join the movement! 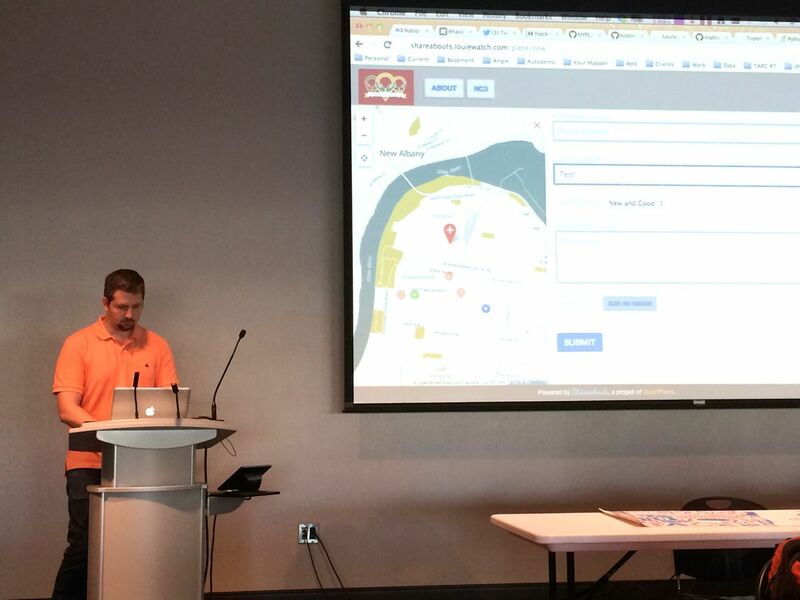 NC3 has developed this web site to help introduce people to the geography of West Louisville neighborhoods, while offering an avenue to add and share data on OpenStreetMap. 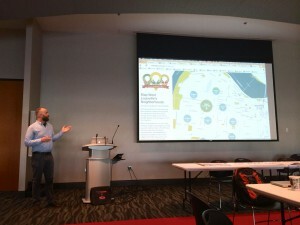 OpenStreetMap is a collaborative project to create a free editable map of the world, and it’s the perfect tool to create data for West Louisville Neighborhoods that can be updated and shared by everyone. 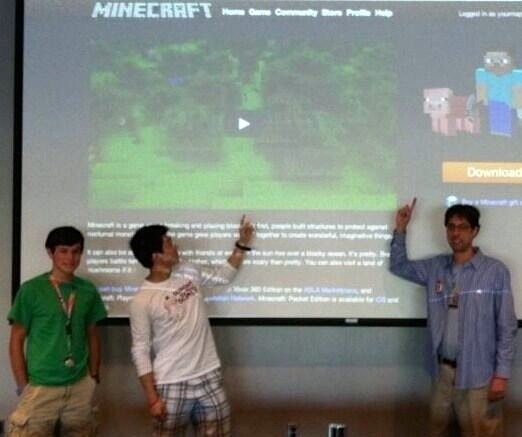 So take a look at the neighborhoods on this site and start editing!" 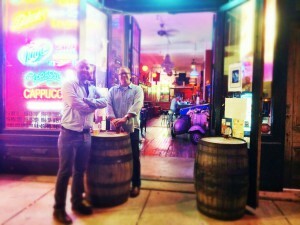 NC3 also needed a way for locals to share positive locations and memories in their neighborhoods. So we worked with them to deploy a Shareaboutsplatform. Using the city's open data portal and Metro Animal Services pet data, we built a website where you can serach, filter, and browse the available animals to adopt, and then get driving directions texted to your phone to go pick up your sweet little pet. 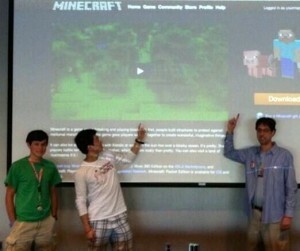 Our most ambitious project for the day was to recreate Louisville within Minecraft, just like Denmark did! 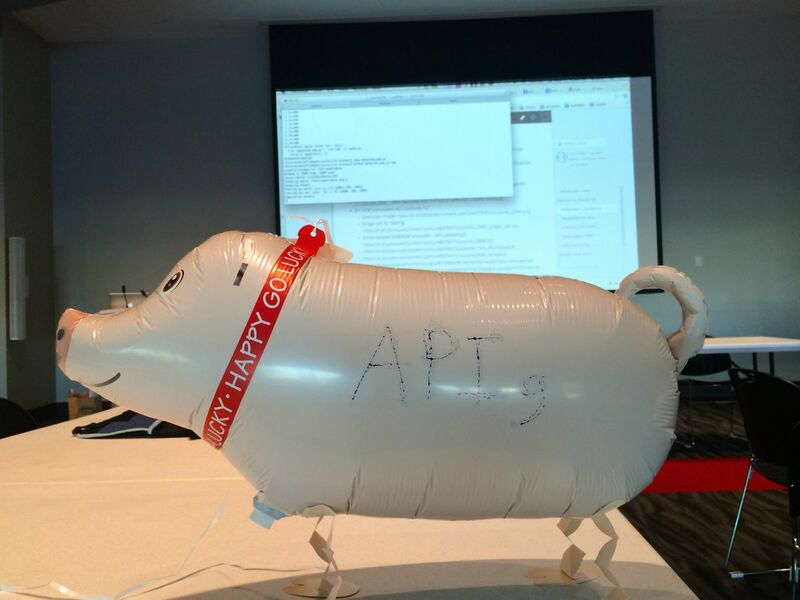 It was the only project that didn't ship (though we got it working after the event around 6pm because people stayed to help). But we got a good handle on the process and with the right data we know it can be done! 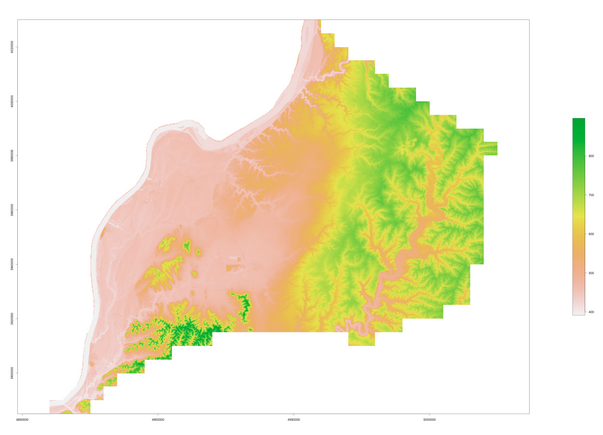 It did take us 2 hours to download/merge/clip less accurate data from Kentucky's open GIS portal, since that data was not available on the city's open data portal (which would have taken a few minutes instead). 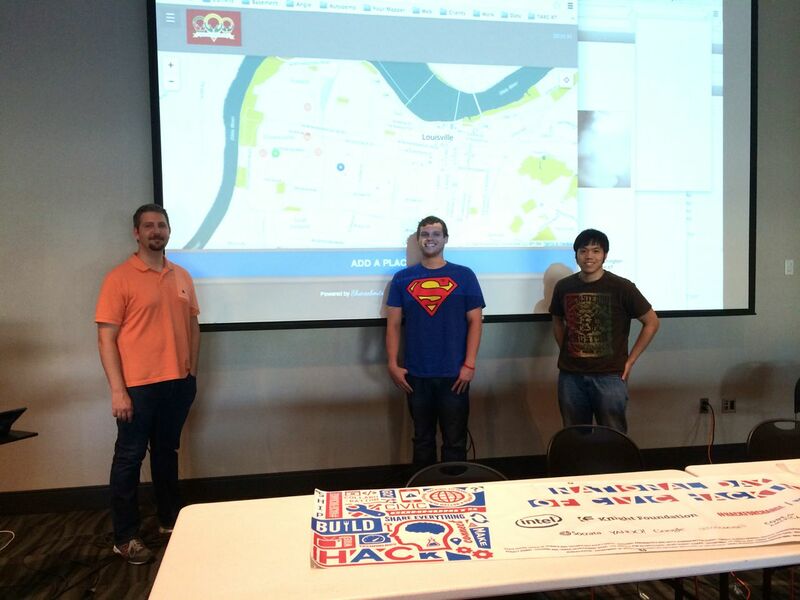 Our biggest roadblock, which directly affected the success of 3 of the 5 projects, was the lack of open GIS and mapping data from the city of Louisville. We had to work harder to turn to alternative, less accurate sources, and in some cases pay another company out-of-pocket for data we needed. 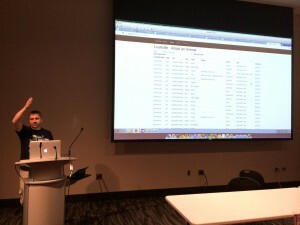 Software development (a hackathon event) using open public data. 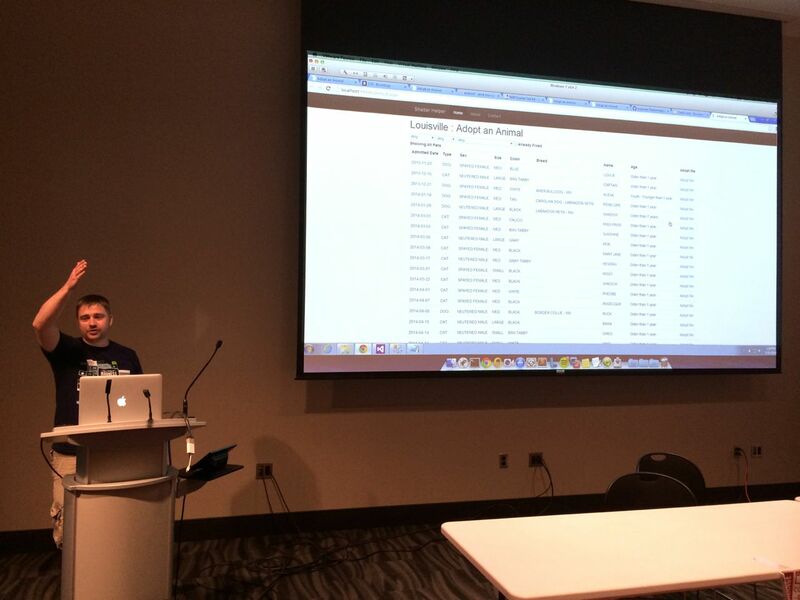 Collaborative building of open data apps and services for non-profits and the community. Discussions on open data at the city, county, and state levels. Networking, learning, fun, and making a difference! The initiative is a united national effort to connect citizens and government in a partnership focused on improving people’s daily lives through technology. This event will bring together techies, entrepreneurs, do-gooders, activists and others like you from across the nation to collaboratively create, build, and invent tools using publicly-released data. 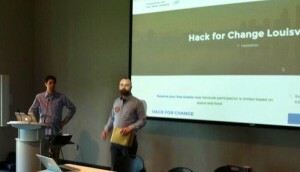 Civic hacking as a form of citizen engagement and volunteerism is gaining momentum reaching cities across America not those known for technology and innovation. Civic hackers are already active and contributing to the betterment of your community. 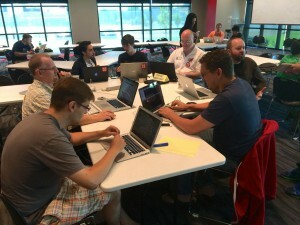 Louisville's Code for America brigade has volunteered to organize this year's event. 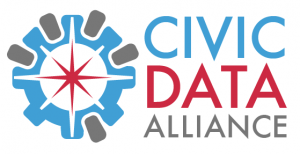 Called the Civic Data Allliance (CDA), we are the public's voice for open data, interested in liberating, improving, gathering, defining, and reporting on public data. 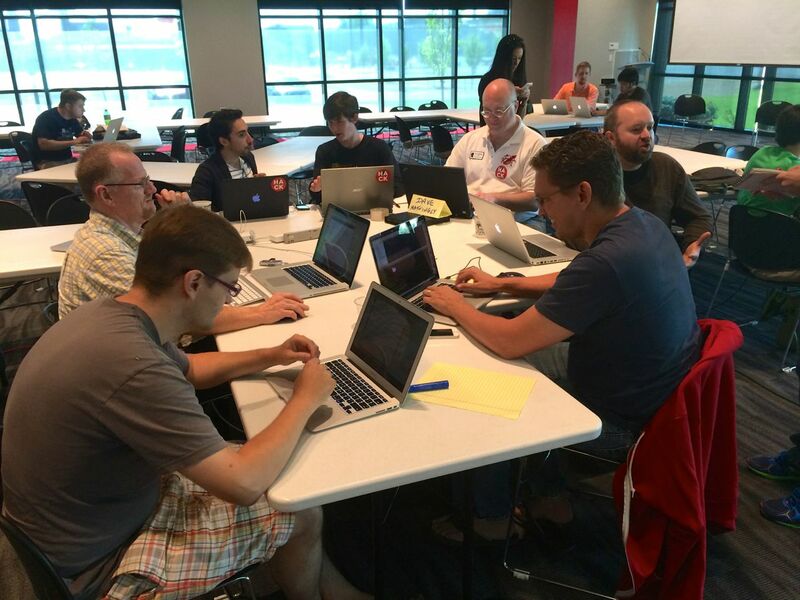 Create a one-day environment for entrepreneurs, app developers, and programmers to create innovative apps and websites using open public data. Identify opportunities to brainstorm, capture, design, and even deploy valuable software applications that serve the city. 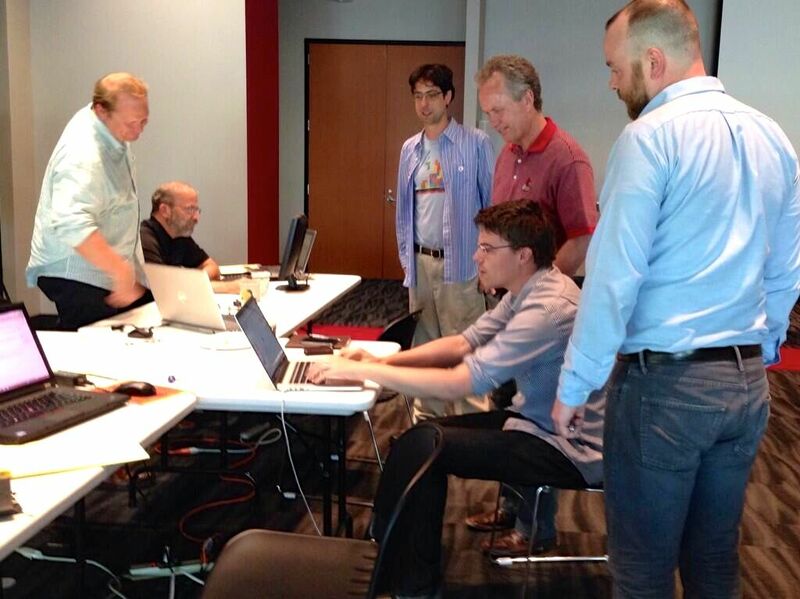 Bring together local government officials, municipal employees, experts, programmers, designers, citizens and journalists to share thoughts on the City of Louisville's open data portal. 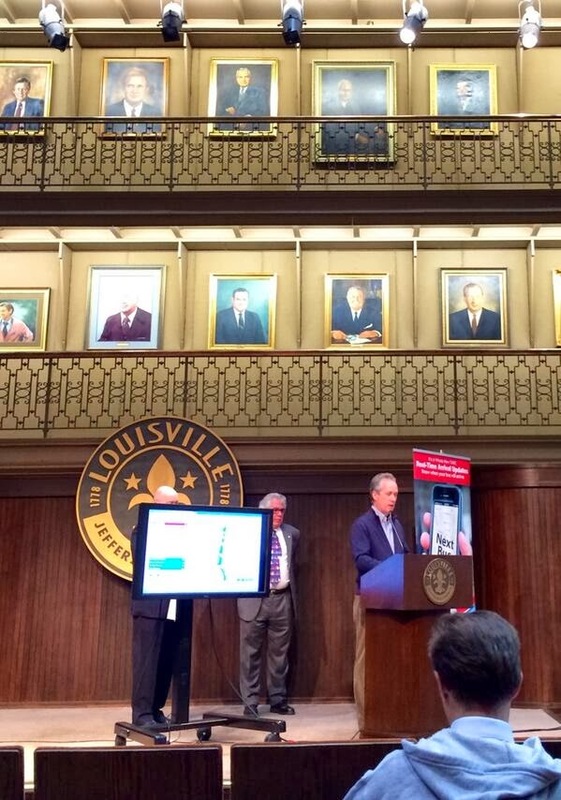 Foster communities of practice and advocacy on the role of the civic innovation, mobile communication, online information, and open data at the City of Louisville. Discover other datasets that contain public information a the city, county, and state level that should be made public (property, transit, GIS, etc). 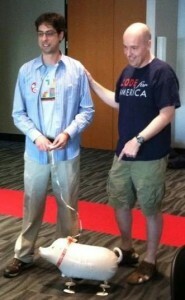 Create outcomes that participants will act upon after the event is over. Nucleus is this year's gracious host and location sponsor. Last year Nucleus hosted the event as well, at their nearby iHub coworking space. Enter in the parking lot off Floyd St directly across from iHub. Then walk in these doors. The space is great and we'll have a projector, mics, speaker system for music, Wi-fi, fridge, food, power strips and more! We are pre-planning a number of projects for this year's event, idenifying resources and laying the groundwork in advance. You can align yourself with one of these projects we hope to ship by the end of the day, or come with your own ideas. At this event, we are going to focus on finishing a product in just 7 hours. Just like at Hacktucky, the motto will be "if it doesn't ship, it doesn't exist!" So we'll work together to make a MVP and cut features as needed. Idea, design, data, coding, UI, and hosting all needs to come together, so we need everyone's help! Big News! Google is providing $500 in Google Cloud Platform hosting for each and every attendee! 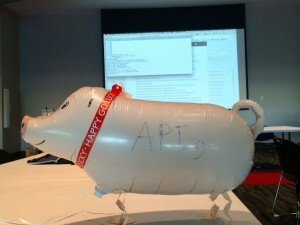 Amazon is providing $50 in free AWS credit to all attendees again this year! And we've got some cool wrist bands, stickers, and a few hoodies to hand out. Your laptop, power cables, software, smart phones, chargers, monitors, mice, ideas, and half finished projects. 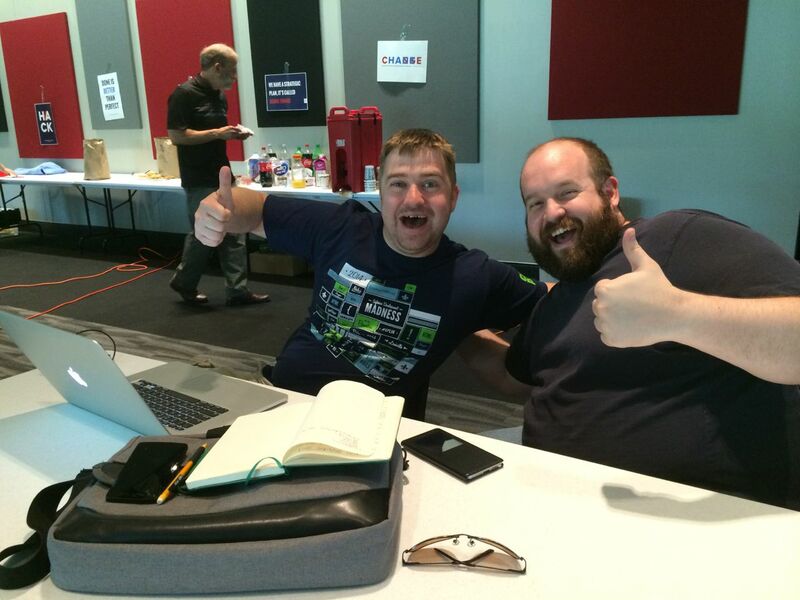 The event is meant to be a technical programming, app building, hacking experience. 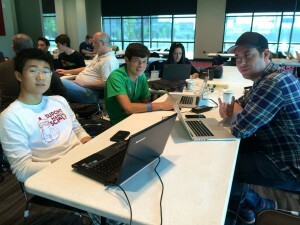 We will be working together to build actual apps during the event. 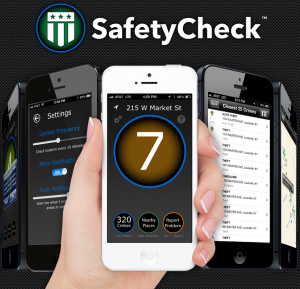 If you are non-technical, we still need your help. During the event entrepreneurs business, marketing, and regular citizens can help steer the direction of the development and explore great ideas with the techies, and work on the presentation and communitating the idea clearly. 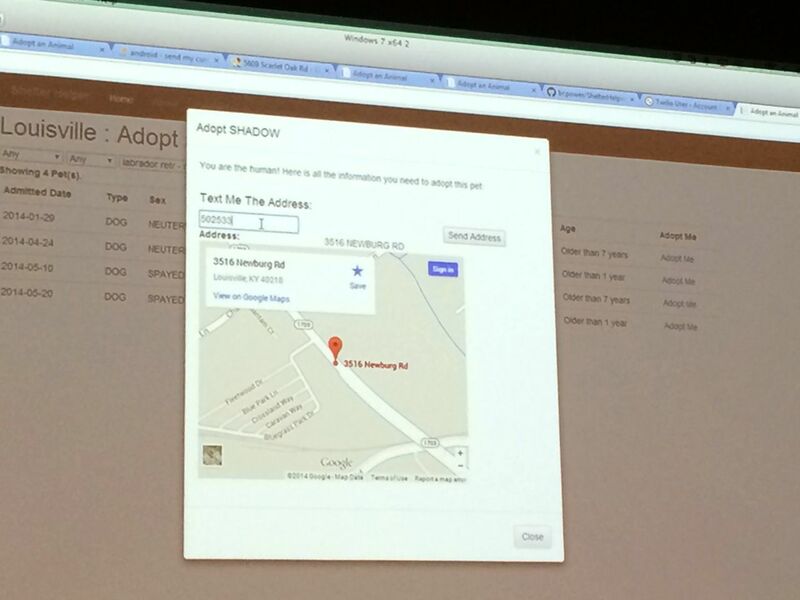 You can also spend some time updating your neighborhood's Open Street Map data using the new iD online editing tool. We are looking for volunteers for this year's event to help with organizing, planning, day-of activities, picking up food and drinks, etc. Contact us at the Civic Data Alliance, Louisville's Code for America brigade and the organizing body for this year's NDoCH. Sign up and post at the official Civic Data Alliance forums and look there and on Twitter for meetup times. 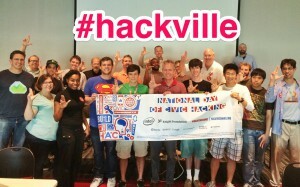 Our hashtag is #hackville. Our local organizer's handle is @CivicDataAlly. The national hashtag is #hackforchange. 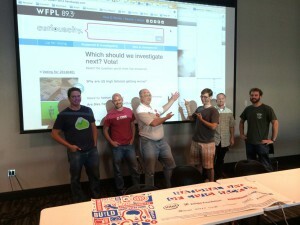 The national organization is @civichackingday. 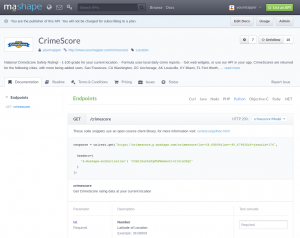 As a national contributor for NDoCH, YourMapper has made its open data and CrimeScore APIs open to all hackers for free! CLICK: See a RECAP of 2013 event. Contact us to become a food, in-kind, monetary, or sponsor, and get your logo below and shout outs at the event! Contact one of your local organizers (listed below) to find out how to help, sponsor, or if you have questions. About National Day of Civic HackingOn May 31 and June 1, 2014, we’ll be making history all over again. 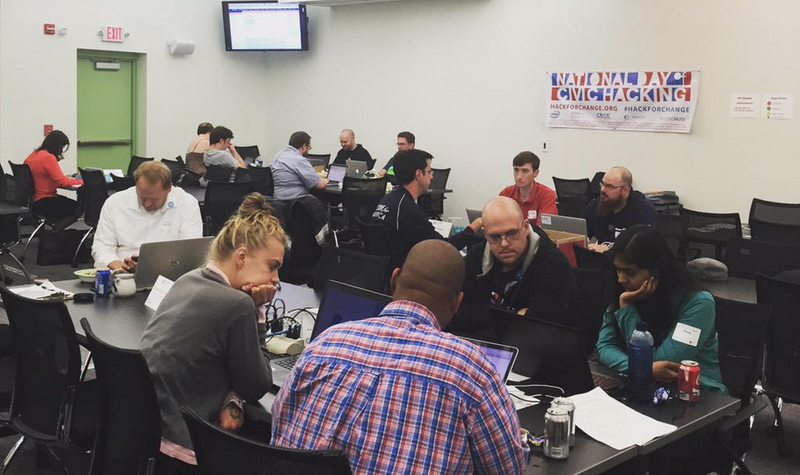 For the second time, the National Day of Civic Hacking will unite technologists, entrepreneurs, developers and other citizens in using open data to improve communities and the governments that serve them. TARC had a January 17, 2014 press conference with the Metro Government about releasing their real-time bus data to the public and to Google. Google is now absorbing it and using it automatically to adjust schedules when you get tarnsit directions on your desktop (Google hasn't updated their mobile apps with any real-time data from any city yet). 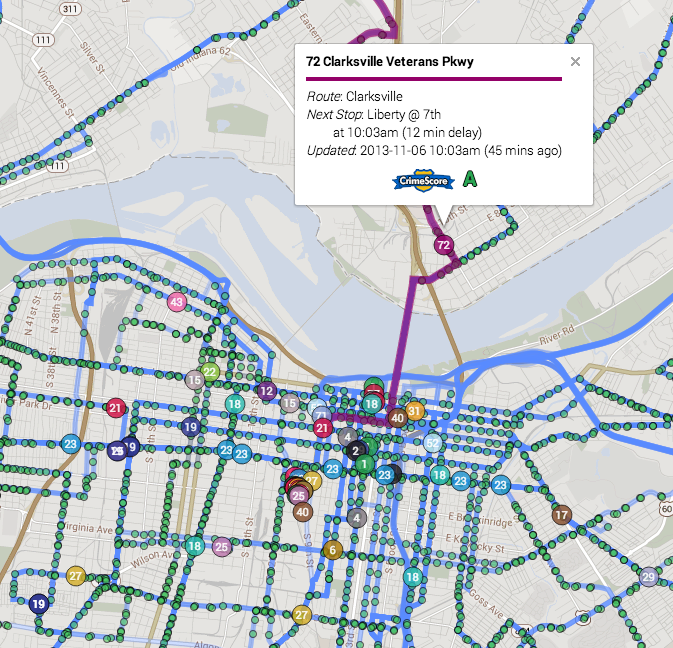 With the public feed, I was able to create a real-time snapshot of every active bus in the city, along with info about how early/late it is, next stop arrival time, route, etc. Again, this only really works well on a desktop. We have created a developer API to allow anyone get the positions and meta data of each bus for thier own ( hopefully better) app or website. Ted Smith announced at the press conference that the city would be having a $1,000 developer contest to create the best service that helps get people riding the bus and visiting local businesses and attractions. As of now (Jan 27), there is no information on the rules, deadlines, or details of this contest. It does make me think of The Next Bus app I developed for the Society of News Design's international conference, which was held in Louisville in November. 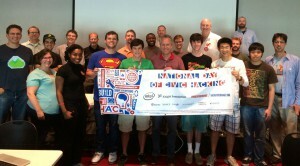 There was a 24 hour hack-a-thon called Hacktucky that my team won, though the other 4 teams made some great products too. 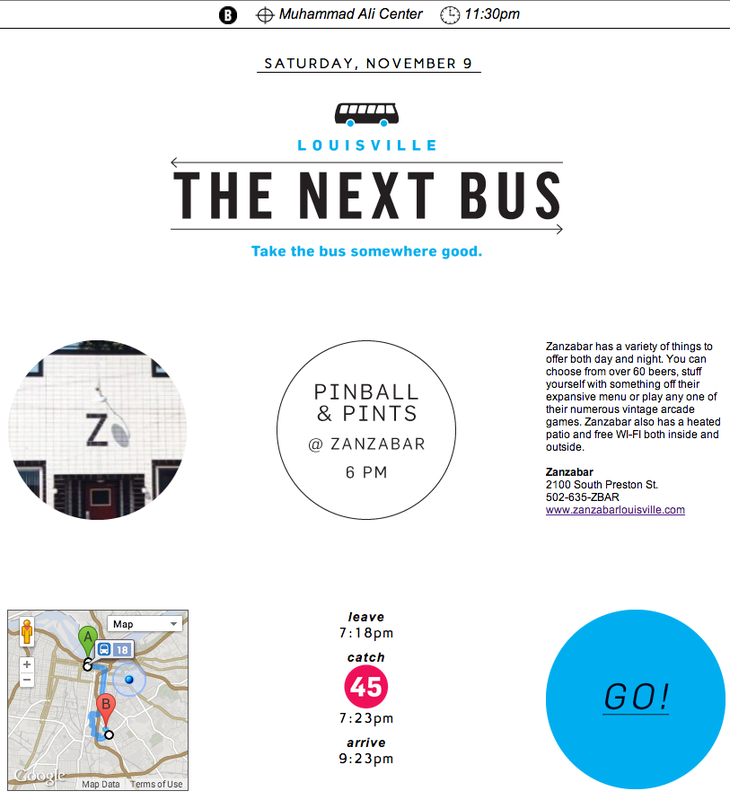 The Next Bus was a site that did just what this contest requires: gets people riding the bus to local destinations with minimal effort and real-time bus tracking. While currently there is no way to get Louisville real-time bus data on your mobile device, there are 4 Apple iOS apps I found that have transit data for Louisiville and other cities, and real-time locations for some cities, so these might be adding Louisville real-time data soon. 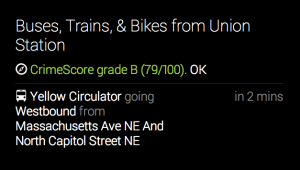 HopStop - The only public transit app you'll ever need. Transit App - Whereever you are, instantly know when the next bus or train is arriving. Transit Directions - Transit app provides public transportation navigation for your iPhone/iPad. Roadify - Getting around your city is easier than ever. 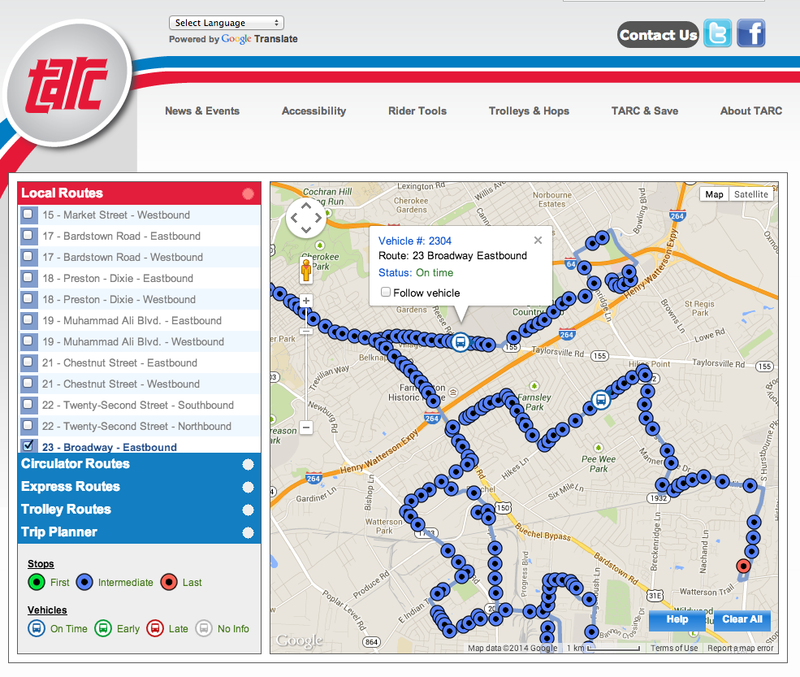 Let's hope that after the city's contest is announced and finished, we have a few good local services that use TARC's real-time bus data.